In a break from reviews based in Scotland, it’s off to the north of England for today’s post. 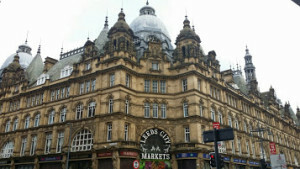 As Twitter followers may have spotted, I had a little trip to Leeds, last week, to check out their Indie Food Festival. I had such fun that I decided to write a Guide to what I got up to in that great northern city. I hope you enjoy it as much as I enjoyed my time there.